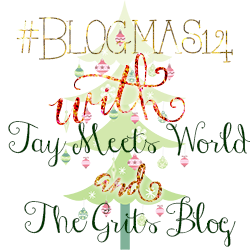 So happy to be back with Tay & Ash for #blogmas14! I'm loving this link-up and all the festive talk. It's made me so excited to blog! Today's prompt: a gift guide for him. I have some of the greatest men in my life and I love buying gifts for them but let's face it.. t hey're not always easy to shop for. I was blessed with a boyfriend who enjoys shopping (thank you, God) and so do some other men in my life but they all share the same thing in common: they very rarely buy anything for themselves. I think that's why I love giving the men in my life gifts because they rarely splurge on themselves and they all deserve it. This guide was constructed around the type of gifts I typically get my boyfriend, Dad, and brother but I would also include gifts like tools, sportswear, DVDs/video games, cigars, etc which they would also love (I believe most men would) but they didn't fit in this collage. Here's my guide! Let me know what you guys think. I got my boyfriend these when he turned 21 and he loved them. They're so beautiful and luxurious because they're from Tiffany's and a steal at only $25 a glass! I think Old Navy has some of the best flannel for men at a great price. I recently smelled this Chanel cologne and oh.hot.damn is it good. I need my boyfriend to wear it ;) and Polo Black is always a classic. Anything from The Art of Shaving is very luxurious and a great gift for a guy who may not buy it for himself. They're razors are expensive but would make a great gift as well. These are a cool gift for the man in your life who appreciates a good drink. Looking forward to seeing what you all get for the men in your life! They're not always the easiest because you can only get so many colognes and flannel shirts, right? The whiskey stones look interesting... a very unique idea for sure :) Nice list!